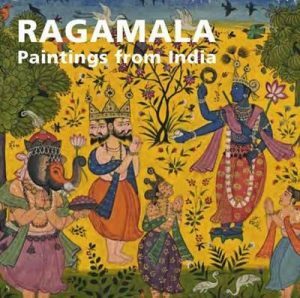 Ragamala paintings are pages from a garland (mala) of visual melodies (ragas). Many centuries before the Islamic invasions of India, perhaps as early as the third century, or even earlier, there existed short poetical descriptions of ragas, usually in the form of brief prayer verses. Although these verses did not indicate pictorial representations of the ragas they show the trend towards musical/poetical/pictorial associations. The paintings are suggestive of the time of day, season and a variety of moods. The presentation will outline the origin, symbolism and representation of Ragamala Paintings, its development as a function of environment and interpretation and resultant impact on culture.